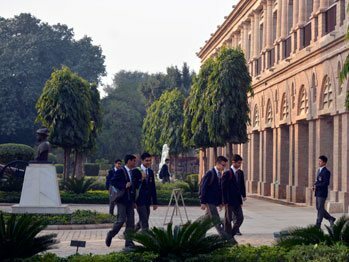 Education World has ranked the Scindia School as # 2 boys boarding school in the country since the year 2017 - 18. 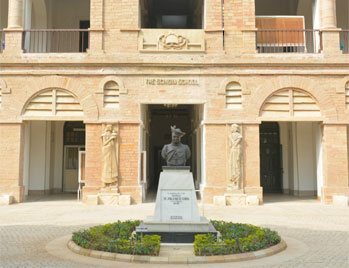 The School invites aspiring applicants for admission. 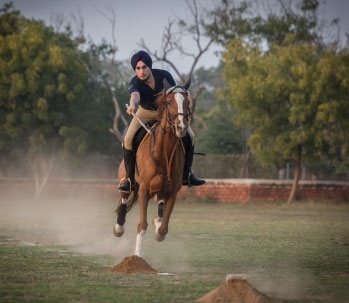 If you are a keen learner with kindling curiosity and a sense of adventure, then The Scindia School is the place to be. 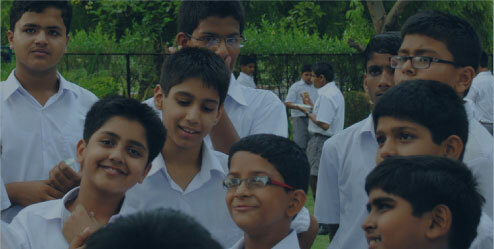 At Scindia, we believe that investment in education is of utmost importance. Hence, regardless of your financial circumstances, if you have the drive to study and excel, you are welcome to be a Scindian. We encourage and support outstanding, talented and ambitious students to come and study with us. We welcome students who will not only reap benefits from attending the school, but who will also learn to be a leader and make a difference in the society and life at large. We would be extremely happy to hear from exceptional young people whose parents and teachers believe they would benefit from all that our school has to offer. There is an annual allocation of approximately one crore for this purpose. 1. Does the School have facilities to address Special Education Needs? The School has a well-equipped Special Education Needs Department. Please visit here regarding the capability of the School to handle Special Education Needs. 2. The School has an infirmary. What steps do you take if the ailment is beyond the capacity of the School medical team? We have tie up with several hospitals in town. If at any point the School realises that the nature of the problem is beyond what the School medical team can handle the specialists from the city and the parents of the student are contacted immediately. Required steps are taken without any delay. 3. Will I be allowed to keep pets in the dormitory. Pets are not allowed formally but if you are an animal lover the School will give you lots of opportunities to participate in activities to ensure safety and well-being of animals, birds and butterflies. 4. Whom should a parent approach for any extraordinary leave? If the child is in Junior School the parent should contact Head of Junior School. If the child is in Senior School the parent should contact Dean of Student Welfare & Discipline. 5. Whom do I contact for health and welfare concerns? The first person to contact should be the Housemaster or the Resident Tutor. If the Housemaster is not available the parents may be advised to contact the Resident Medical Officer for more details. In special cases, especially for sanction of leave or to discuss any suggestion/ concern, the parents may contact the Dean of Student Welfare & Discipline, Head of Junior School or Principal. 6. How do I find out the list of documentation required for admission of a student who is an adopted child of his parents? You are advised to contact admission in-charge for the details because requirements may vary from case to case. 7. Whom should I contact for admissions? 8. When are the next dates for Aptitude Assessment for admission? The Common Aptitude Assessment (CAA) is conducted during the month of November for the admission in July for the following year. For this, the Registration is open till the 30th of September every year. The School Aptitude Assessment (SAA) is conducted every year in the last weekend of January or the first weekend of February. Enrolment for this assessment is open till one week prior to the date of the Assessment. 9. What are the timings for enquiry? Please call at the School Admission Office between 9 a.m-5 p.m from Monday to Saturday. After working hours by sending SMS on + 91 9425307546. The concerned personnel will get back to you in next 24 hours. 10. Where can I locate the General Entrance form? 11. Where are the Aptitude Assessment locations? 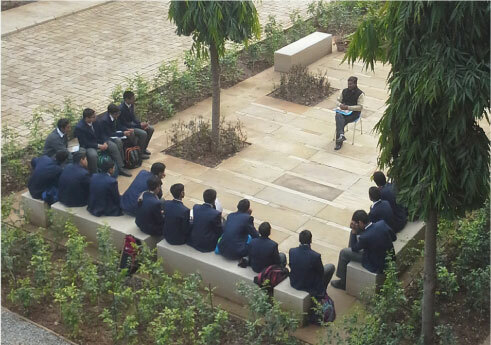 Centres for the Common Aptitude Assessment (CAA) are usually in all the major cities of the country. And the centres for the Scindia School Aptitude Assessment (SAA) are usually at Delhi / Noida, Kolkata, Mumbai, Lucknow and Gwalior. The exact centres are specified in advance before the date. 12. What is the interaction procedure? Prospective candidate who has appeared for either of the Aptitude Assessment will be invited to the school for an Interaction Session before offering the admission. 13. What do I need in order to prepare for the Aptitude Assessments? Syllabus for the Aptitude Assessment in English, Mathematics and Hindi is available here.